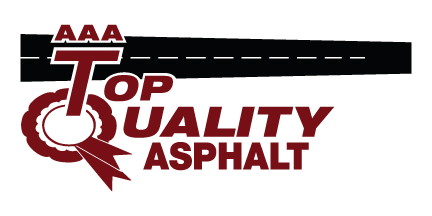 Here at AAA Top Quality Asphalt in Lakeland, FL, we know how to create the perfect flatwork. Flatwork in Lakeland – If you are searching for simple and stylish flooring, concrete flatwork may be exactly what you are looking for. The name is derived from the fact that the concrete is laid out on a flat surface. It can be done inside or outside a home or business, and the inexpensive and versatile qualities make it very popular. If flatwork is to be placed outside, the soil will first have to be excavated. This makes room for the gravel or sand base that may be required. The concrete is then poured into a mold, where it will be left alone to dry and harden. The end result is a durable and strong patio, driveway, or walkway. The flatwork can be stained if you desire a specific color, and even stenciled if you would like a certain texture. When flatwork is done on the inside of a building, it is generally done in the same manner as when it is laid outside. Depending on the weight that the concrete will be required to support, different bases or mixes will be required. This flatwork can also be stained or stenciled to create your desired look. Here at AAA Top Quality Asphalt in Lakeland, Florida, we know how to create the perfect flatwork. Our professionals use only the highest quality products, so you can rest assured that your flatwork will last for years to come. We know how important it is for you to have only the best results, and we are confident that you will be satisfied with our work. Whether you are a homeowner or business owner, we would love to help you get started on the flatwork your property deserves. Here at AAA Top Quality Asphalt we provide quality Concrete Curbing for customers in and around Lakeland, Brandon, Tampa, Winter Haven and Clermont, Florida!